Where do vegans get their protein? One serving of our Vegan Protein Packed Mashed Potatoes provides twenty-six percent of the recommended protein for one day! Healthy recipes like this one provide loads of, easy to utilize, plant-based protein. 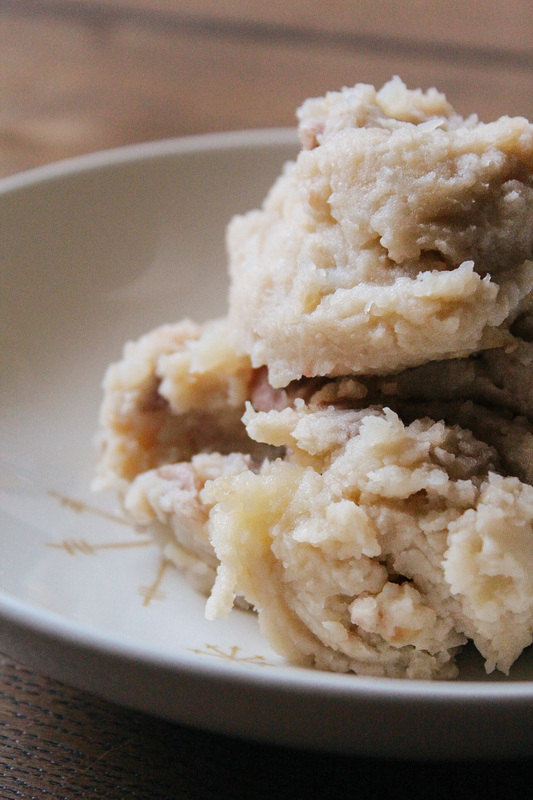 Protein-Packed Mashed Potatoes are potatoes intentionally loaded with extra protein! Protein Packed Mashed Potatoes provide hearty, wholesome, mouthwatering appeal, garlicky-good taste, and protein out the wah-zoo! No one will notice you’ve boosted the nutritional value of their comforting mashed potatoes by adding white beans. When my family and I first decided to live a veggie lifestyle, I did some majorly in-depth recipe research. 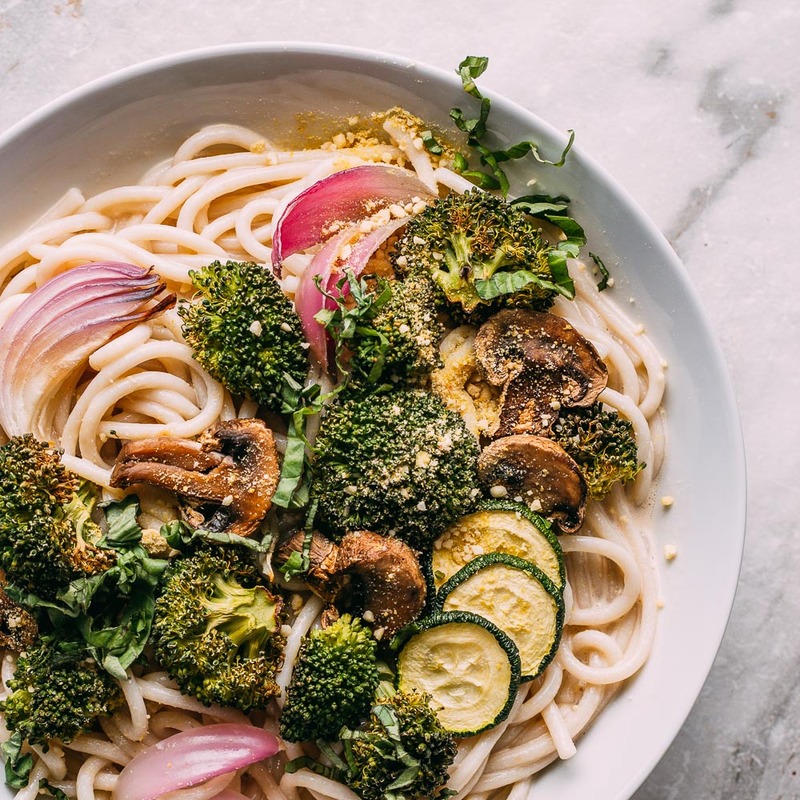 Thankfully, I found loads of recipes which taught me countless ways to prepare plant-based, gluten-free, dairy-free comfort foods that help us efficiently meet or even exceed recommended daily nutrients. I remember feeling so grateful for those extra-nutritious recipes. I soon learned that eating healthier and plant-based is SO doable! By being open and trying new recipes I’ve learned ways to incorporate more nutrition into most everything I prepare. Northern beans are pale in color which allow them to blend with the potatoes easily. 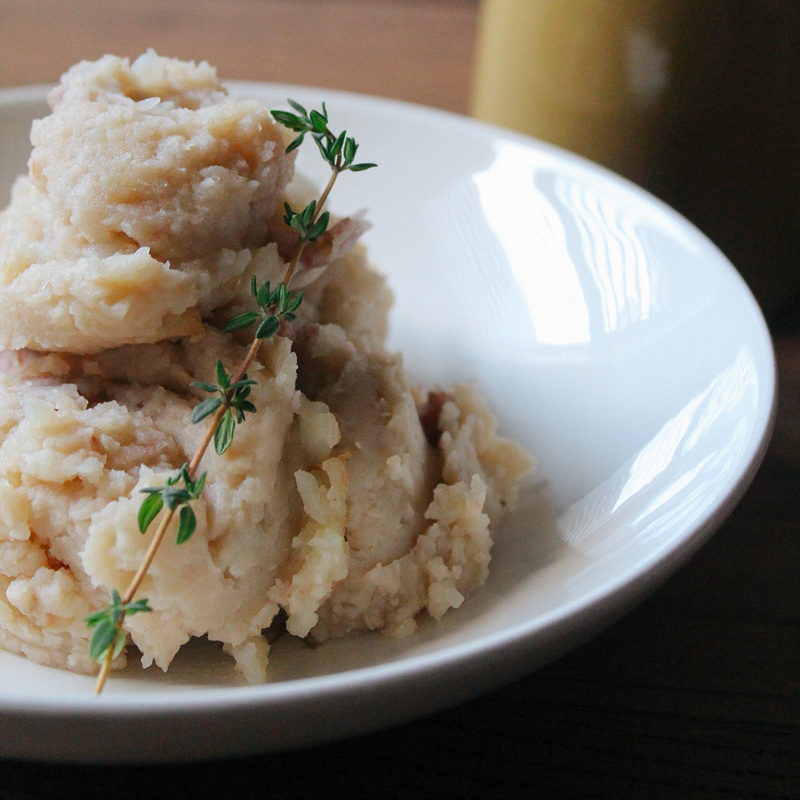 At the dinner table, Vegan Protein Packed Mashed Potatoes are mashed potatoes, period. These sneaky protein powerlifters are nothing other than everybody’s favorite creamy side dish. 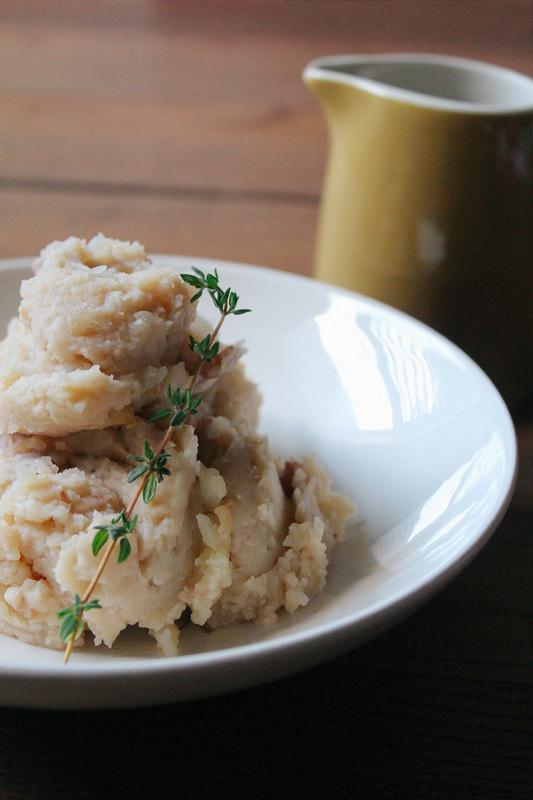 By the way, if you’re ever craving something comforting, satisfying and easy to make, go ahead and dive into some Vegan Protein Packed Mashed Potatoes. 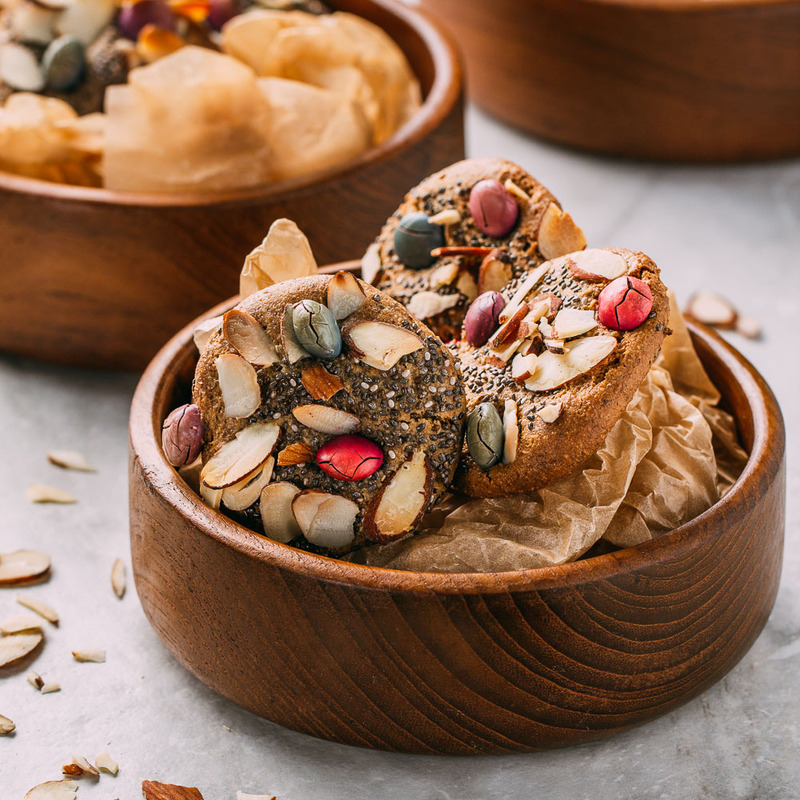 As long as you avoid piling on an extra large helping of buttery spread or going overboard on the salt, you won’t be in any danger of tipping the scale with this favorite go-to! And in my book that’s a big, woo-hoo! If you enjoy mashed potatoes as much as my family and I do, be sure to try our new recipe for what we lovingly refer to as Sheep’s Pie or Veggie Lovers Shepherd’s Pie. We make our Vegan Shepherd’s Pie by topping the veggies with a crust made of nothing other than a thick cloud-like smear of these Protein Packed Mashed Potatoes. It’s so filling and warm that even meat eaters will want the recipe! Who doesn’t enjoy a single bite, or a dozen, of creamy, smooth, intoxicatingly comforting, smashed with love, nutritionally rich, potatoes? Filled with protein, iron, and Vitamin C, you can serve and devour our Vegan Protein Packed Mashed Potatoes without a shred of guilt! Wash and drain the potatoes, chop into large chunks and toss into a large pot. If you prefer to peel the potatoes, the recipe works just the same, but the nutritional content does diminish just a bit. Fill the pot of potatoes with vegetable broth or water until potatoes are submerged. Sprinkle with a dash of sea salt. Cook on medium-high heat for about 25 -30 minutes or until fork tender. Reserve at least one cup of the cooking liquid. Drain potatoes and place in a large bowl or return to the cooking pan. While the potatoes are cooking, drop peeled garlic cloves into a food processor to finely chop or mince with a knife. Add drained and rinsed beans and a bit of salt and process until almost smooth. Add a tablespoon or two of the cooking broth from the potatoes to the processing beans to make them creamy like hummus. Use a potato masher to smash the potatoes until you reach the consistency you prefer as some people like their potatoes super smooth while others like them a bit chunky. I belong to team "chunky" because it reminds me of how my sweet Mom always made them. I enjoy running into those beautiful snippets of her memory. Next, add the coconut oil and keep mashing until blended. Add the plant-based milk of choice and smash some more. If you prefer to keep your meals oil-free, skipping the oil in these lovely protein-packed potatoes does not reduce their terrific flavor! Add the pureed bean mixture to the potato mixture, mashing until combined. If needed, thin the potatoes by adding some of the reserved cooking liquid or additional nut milk. Sprinkle with sea salt and pepper to season to taste. Serve these alongside a nice helping of something green like kale or collards and enjoy a terrific plant-based meal. Take it to the next level when you smother your homemade potatoes with our recipe for luscious Vegan Gravy Gluten-Free Sage Gravy - a bowl-licking kind of gravy that is such a healthy alternative to most sauces you can practically say it's GOOD for you! For another easy to prepare, comforting, downhome dinner option, spread a batch of these over the top of some vegetables and broth when you try your hand at making some Veggie Lovers Shepherd's Pie. Swap the northern beans any other legume you happen to have on hand, and lentils also work equally well. Since lentils are small, you can skip the extra step of smashing them separately and just stir in the cooked lentils while mashing the potatoes. Using lentils is a great time saver for when you are in a hurry. For a change, I sometimes add 1-2 tablespoons of Nutritional Yeast to impart a cheesy taste to the potatoes while also providing a beneficial helping of Vitamin B12! For an appetizing and festive splash of color and flavor, sprinkle some paprika on the potatoes before serving. To speed things up, you can use previously roasted garlic in place of raw garlic. The roasted garlic creates a warm, earthy note of flavor. And to make these oil-free, you can use the solidified portion from the top of a can of coconut milk to add a little fatty creaminess in the place of an extracted oil. Any variety of potato can take the place of the red potatoes, but I do suggest organic potatoes whenever possible. I use organic and non-GMO potatoes to avoid unhealthy pesticides and other health troubling alterations and additives. You can bet that vegetables that are not organic have absorbed harmful toxins. 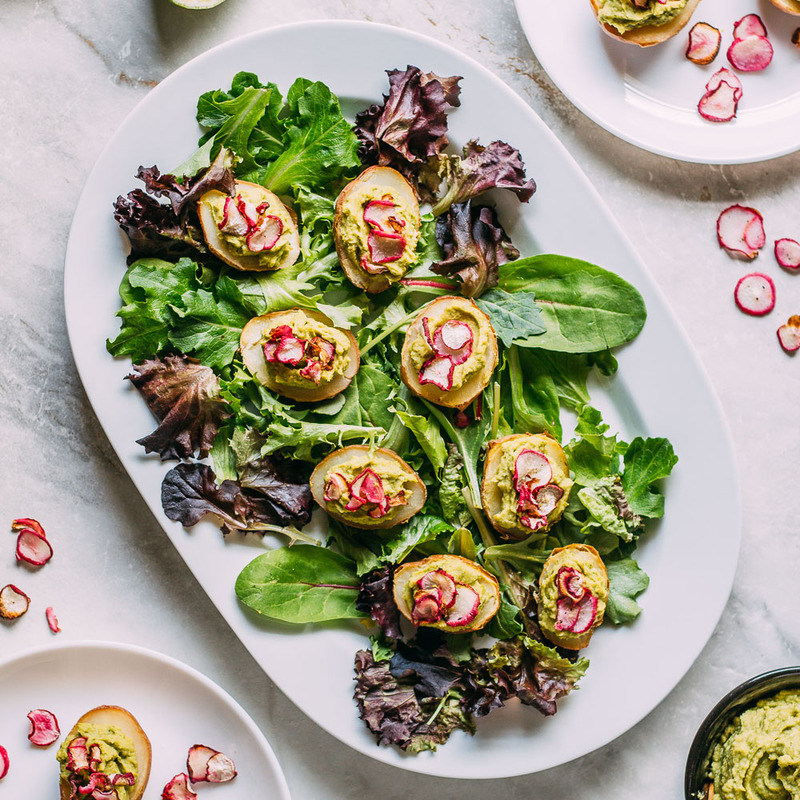 My protein boosted mashed potato recipe gained inspiration by one I found on a beautiful website called Oh She Glows when I first began eating plant-based just over four years ago. I’m making this with your Shepard’s pie recipe. I can’t handel too many beans though. Can I make this recipe without the beans? Hi, Colleen. I haven’t made this without the beans but, I definitely, any version of mashed potatoes should work well for the topping. As for the lentils inside the pie, the recipe should work just fine without those. I even like the thought of a bit more broth and less bulk. Since I haven’t tried it without the beans, I’d love to hear how it goes.